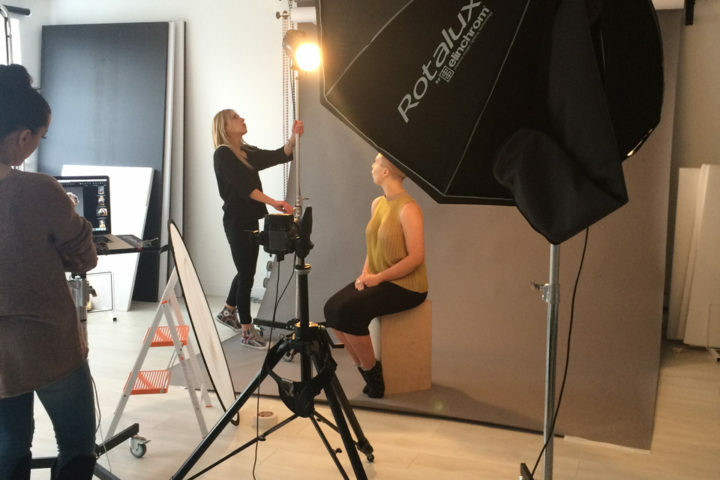 Paige Rohanna Walker, winner of our Face of Pure Hair model competition, won the opportunity to star in our photo-shoot for the prestigious Wella Trend Vision Awards 2015. The shoot took place in March at Coventry photographer Pippa Lee’s studio. Our salon manager Laura and Paige had already clocked up many hours of preparation before the big day. 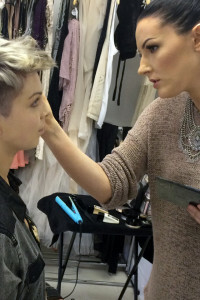 Laura explains why putting in this immense effort is so worthwhile, “Having reached the Regional Finals in 2014, I’m really excited to be part of Trend Vision again this year. I love to push myself creatively and technically – it all filters back into my work within the salon with my clients. The theme for the shoot was the ‘Journey of Enlightment’. With help from talented make-up artist Lynsey Mckenzie, Laura created a look that let Paige’s natural beauty shine through. The final entry image is under wraps until the judges deliver their verdict in April. It was a fun day of hard work. Laura said, “I am so pleased with the result. The final image really is as I first pictured it – which is rare with me when my creativity gets going.” While a delighted Paige exclaimed, “I totally loved my hair, the clothes and the look. I was so pleased and excited. I couldn’t believe it was me!”.